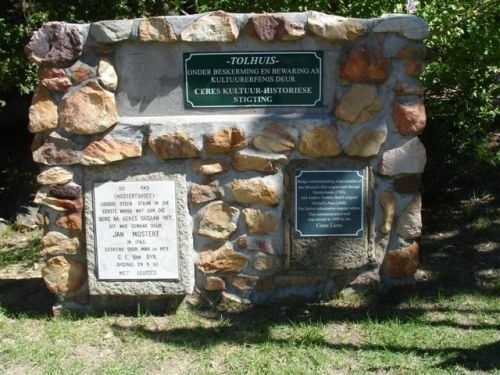 The Old Tolhuis on Michell's pass estimated 1884. It was build to collect the tolls were levied money for the pass. It was later proclaimed a national monument and you will find onsite a small restaurant and farm stall. 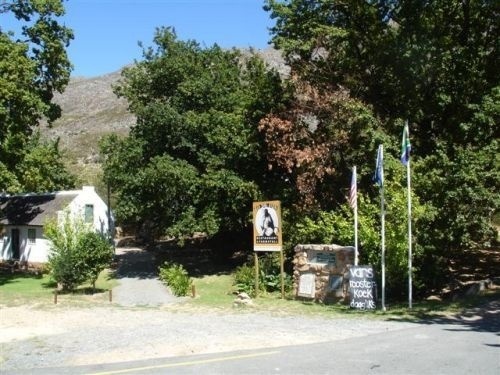 (Note: the actual sign board at 'Mitchell's Pass' between Tulbagh and Ceres which reads 'Michell's Pass' does not contain a spelling error. It was in fact Charles Michell (-Charles Collier Michell, 29 March 1793-28 March 1851) that was involved in the design of the pass, and not Mitchell as incorrectly understood by many people. The sign board is thus correct).